It’s almost that time. April 4th we kick off our 13th year at Etown and also start the celebration for Etown’s 50th anniversary! Note on the rules. Linked above is the 2014 rulebook. We are still finalizing the 2015 rules with the NJSP. There may be a few changes. One of the changes that we have confirmed is that SA2010 helmets are required. The SA2005 manufactured date exception from last year will no longer be allowed. Use the button below to register to drive. Make sure to include all required information. Registration is open from now until Thursday, April 2nd at midnight. No late registrations will be accepted. We will just take your money and spend on something fun. So get your payment in before the deadline. Any issues with payment email Club Loose. 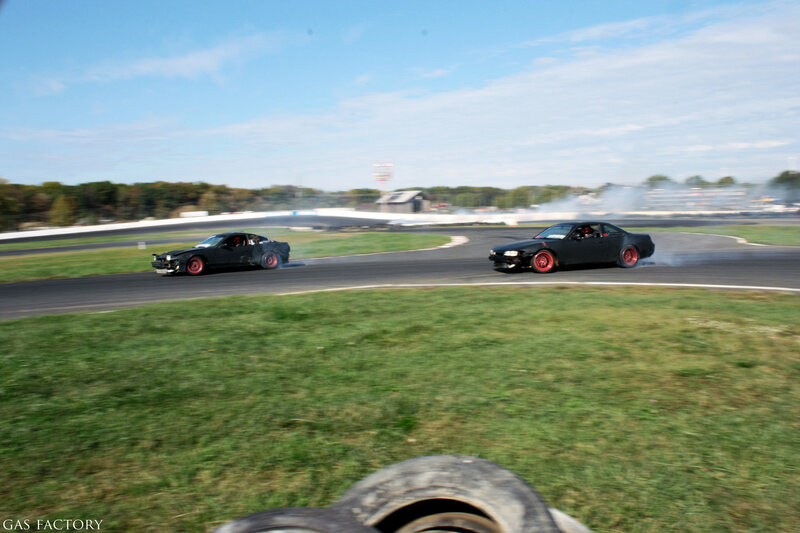 And finally, remember to tag your Instagram posts of you getting ready for the track or working on your car or driving at the track with #godrifting and #fallmoves. And then visit Go Drifting or Go to Hell! to see what everyone else is up to.